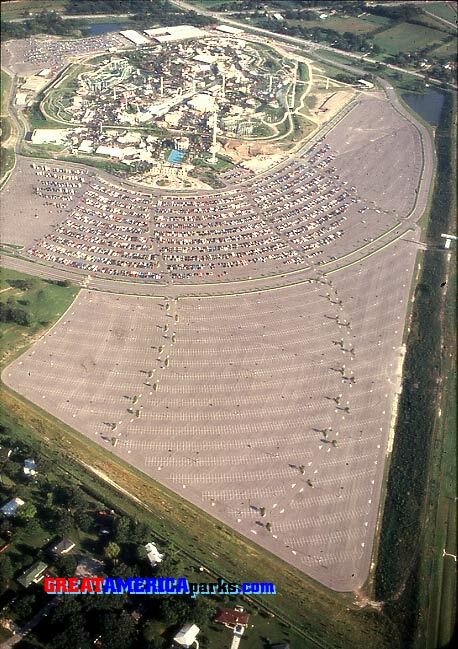 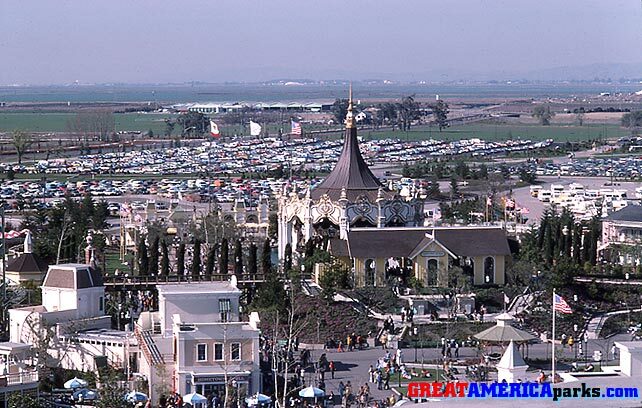 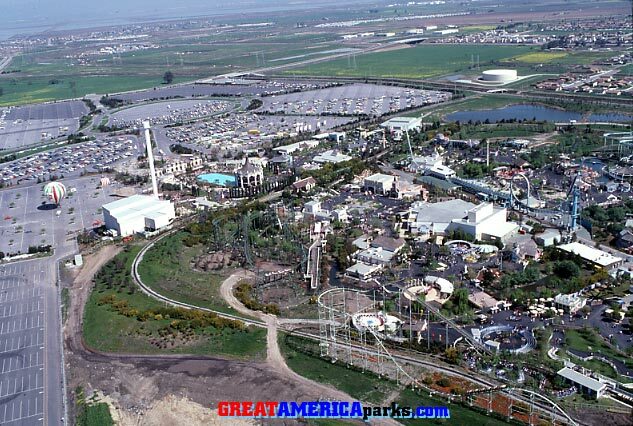 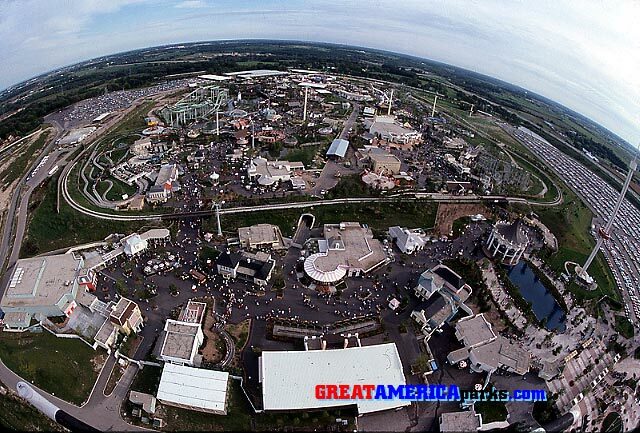 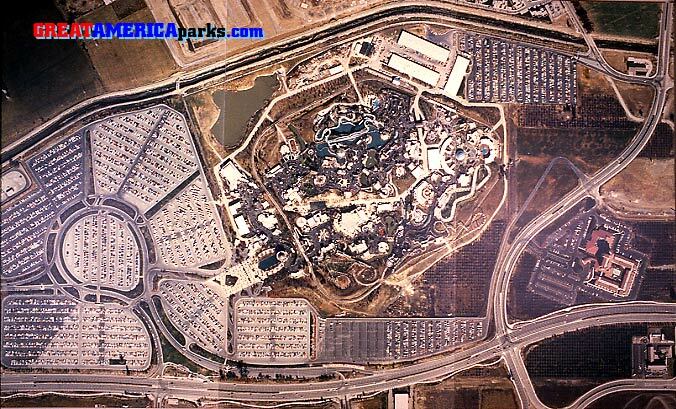 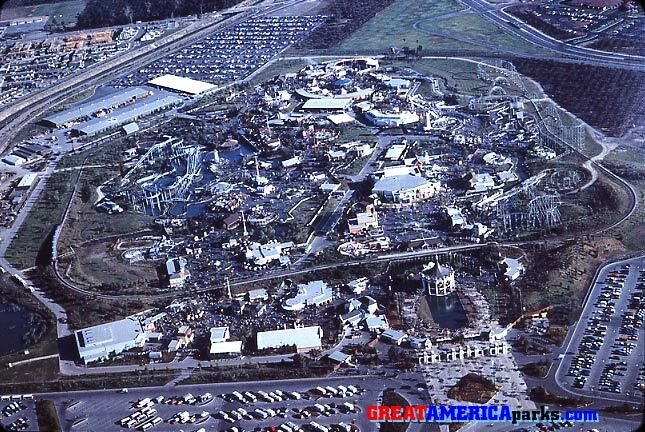 In this view of the Santa Clara park, you can see in the upper left that the Turn of the Century roller coaster had been converted to the Demon roller coaster. 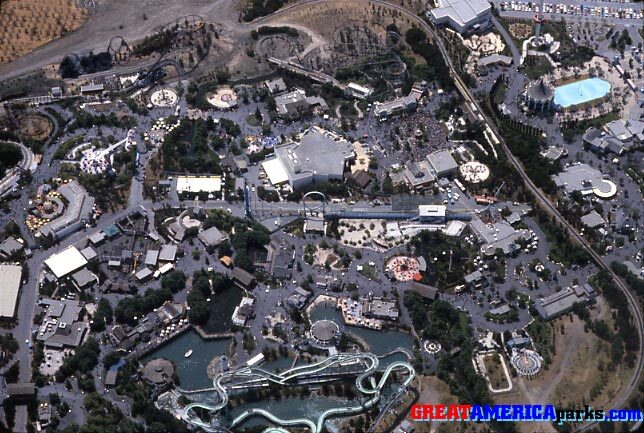 In the lower right you can see the Orleans Orbit just to the right of the rounded rectangular layout of the Gulf Coaster. 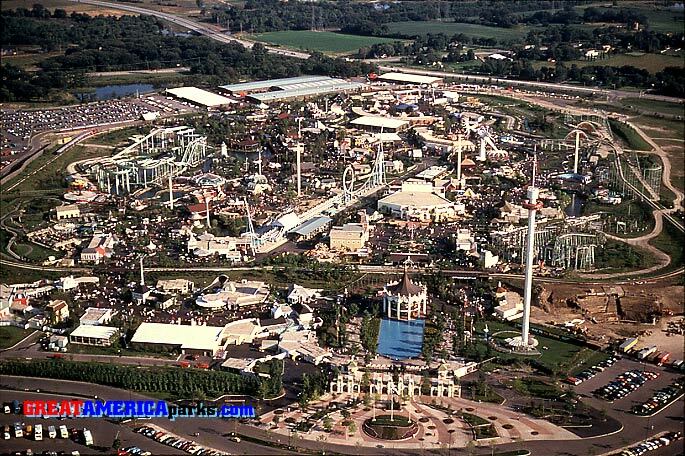 Absent from this portion of the park is the Traffique Jam antique car ride that was installed in Gurnee only.